Nature inspired art by graphic impressionist Solveig. Portrait of the girls and the land that produce Good Goog eggs. 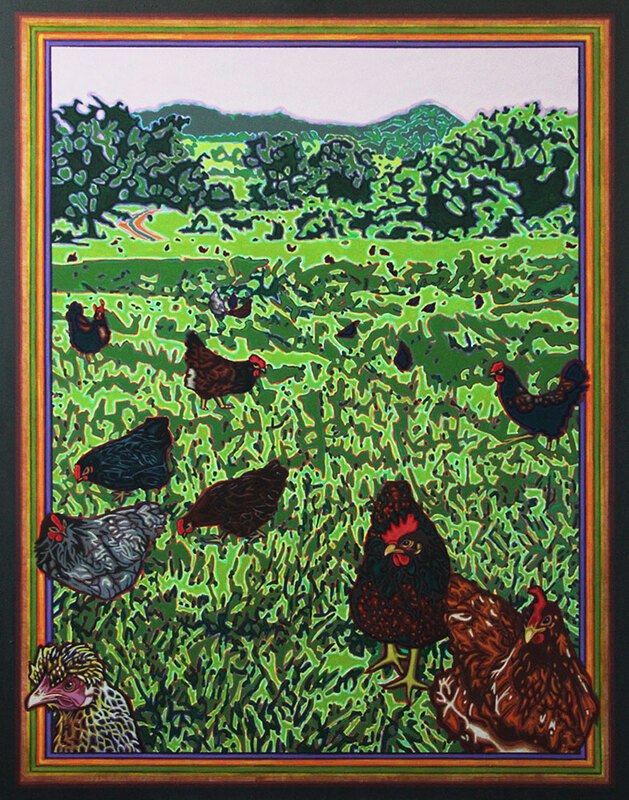 The hens blissful in their habitat, free-ranging under Mount Chincogan’s watch. This is an idyllic and ideal setting for the heritage hens. When you eat eggs for breakfast, this is where you want your eggs to come from.